William Garner Sutherland, D.O. (1883-1954), a Minnesota Osteopathic physician and student of Andrew Taylor Still, discovered the field of cranial osteopathy. Dr. Sutherland referred to his discovery as “Osteopathy in the Cranial Field” (OCF). He founded the Osteopathic Cranial Association in 1946 (which changed its name to the Cranial Academy when it became a component of the American Academy of Osteopathy in 1960). He also founded the Sutherland Cranial Teaching Foundation in 1953 to guide the training of physicians in cranial osteopathic techniques. 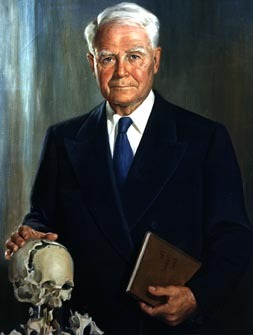 The Sutherland Collection contains the writings, memorabilia, recordings, transcribed lectures and voluminous correspondence of Dr. Sutherland, tracing the growth of the Foundation and Association as well as documenting the spread of the cranial concept as a viable specialty within the osteopathic profession. The correspondence relates to the Sutherland Cranial Teaching Foundation (1950-1971), the Osteopathic Cranial Association (1946-1953), and the Moorestown, NJ/Lippincott Study Group. The latter was created by and met in the home/office of Rebecca Conrow Lippincott, D.O., and Howard A. Lippincott, D.O. 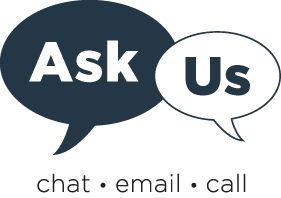 for the further study and review of cranial procedures and advancements. The collection contains recordings, transcriptions and slides from lectures by Dr. Sutherland, et al. (1947-48), a manuscript copy of his seminal work, The Cranial Bowl (1939), and photographs of Dr. Sutherland and many other early pioneers in the field. The Sutherland Collection was formed by Anne L. Wales, D.O., from her own materials, memorabilia received from Dr. Sutherland’s wife, Adah, and educational materials from Rebecca Conrow Lippincott, D.O., by way of Ernest F. Bernhardi, D.O. Anne Wales transferred these materials to John A. Harakal, D.O., in 1987, who then donated them to the Gibson D. Lewis Library at the University of North Texas Health Science Center. Currently housed in the Library’s Special Collections, the Collection has attracted scholars from around the world including Australia, Canada, England, France, and Scotland.